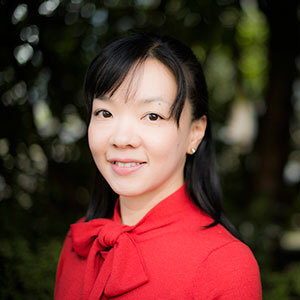 Dr. Kanna Hayashi, PhD, is a Research Scientist with the BC Centre on Substance Use, the St. Paul’s Hospital Chair in Substance Use Research, and Assistant Professor in the Faculty of Health Sciences, Simon Fraser University. Her primary research interests and expertise include social and clinical epidemiology of substance use, community-based research, public health and human rights, substance use, and health services for drug-using populations. Dr. Hayashi currently leads the Vancouver Injection Drug Users Study, a US National Institutes of Health-funded ongoing prospective cohort study of more than 1,000 people who inject drugs in Vancouver to investigate the natural history of injection drug use. Since 2008, she has also had extensive international research experience leading the Mitsampan Community Research Project, a serial cross-sectional mixed-methods study to investigate drug-using behaviour, healthcare access, the impact of law enforcement and policing, and other drug-related harms among people who inject drugs in Bangkok, Thailand. Dr. Hayashi has won several international and national awards, including the Royal Society of Canada’s Alice Wilson Award. She obtained a PhD in Interdisciplinary Studies from the University of British Columbia in 2013, and two Master’s degrees in Public Health and International Affairs from Columbia University, New York in 2009.